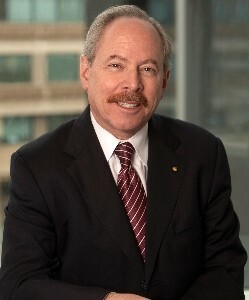 Alan I. Leshner headed AAAS for 13 years, concluding his service on 17 February 2015. Dr. Leshner has been Chief Executive Officer of the American Association for the Advancement of Science (AAAS) and Executive Publisher of the journal Science since December 2001. Before coming to AAAS, Dr. Leshner was Director of the National Institute on Drug Abuse (NIDA). Before then Dr. Leshner had been the Deputy Director and Acting Director of the National Institute of Mental Health. He went to NIMH from the National Science Foundation (NSF), where he held a variety of senior positions, focusing on basic research in the biological, behavioral and social sciences, science policy and science education. Dr. Leshner received an undergraduate degree in psychology from Franklin and Marshall College, and M.S. and Ph.D. degrees in physiological psychology from Rutgers University. He also has been awarded seven honorary Doctor of Science degrees.